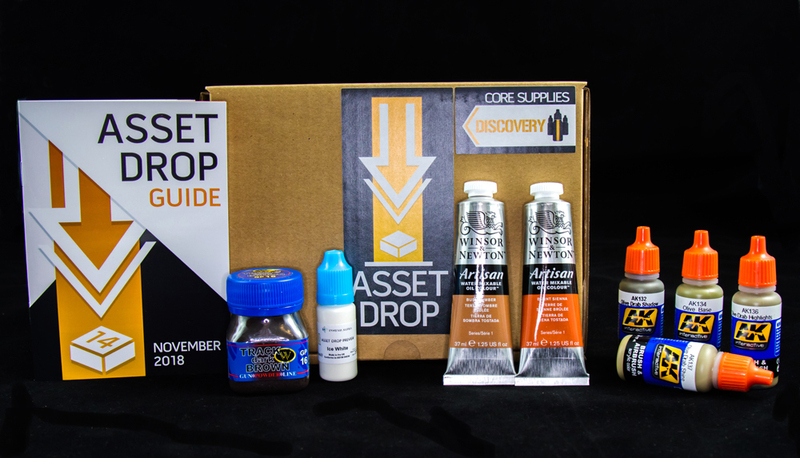 November's box was an exciting box because we featured oil paints for the very first time! Oil paints are popular for weathering miniatures and are heavily used in the scale model hobby. However, the downside is, they need enamel thinners which damage brushes and can be fairly unpleasant to work with. This month however, we featured an absolutely brilliant alternative: water-mixable oils from Winsor and Newton! 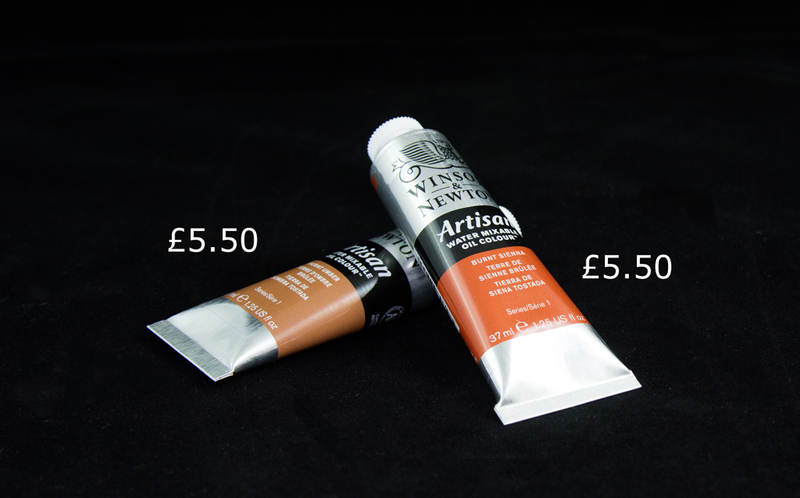 These oil paints can be applied in the same way to weather your miniatures, but are easily reactivated with water to produce a range of outstanding effects. We go through a full tutorial of how to use these paints in our exclusive Discovery Painting Guide. We also featured an excellent set of Olive paints from AK Interactive, part of their modulation range, which can be used together to produce a wonderful olive colour scheme, suitable for everything from military tanks to adventurer's cloaks! Finally, we rounded off the box with two solo products. 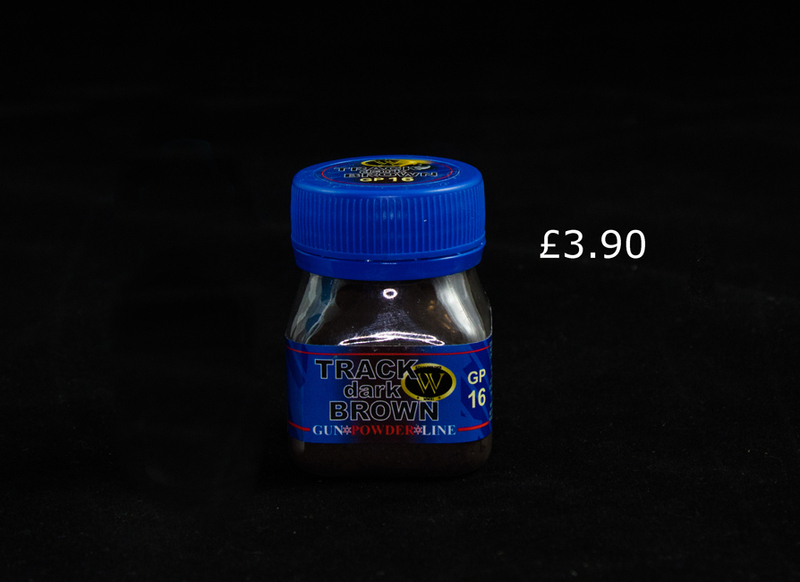 A fantastic pigment from Wilder, ideal for adding touches of mud and dirt to your scenery and bases. As well as an exclusive pre-release from INSTAR paints. The Ice White from their new Alpha Line in this box is a one-coat paint, which covers amazingly well and is ideal for base coating. If you like the sound of November's drop, why not enjoy the surprise of receiving a box like this on your doorstep every month, and sign up to the latest Discovery box here. Oil paints are arguably the cornerstone of fast, realistic weathering and shading. Used extensively in the scale model/historical diorama world, they’ve also been making their way into the miniature painting and wargaming spheres too. I’ve used oil paints on quite a few occasions in the past and they can lead to some really fantastic results for very little effort. For weathering effects such as grime, streaking, corrosion, and decay, they’re second to none. They can also be used for non-weathering applications since blending and shading with oil paints is so easy. When compared to standard acrylics, their flexibility is incredible. That's why we knew these oils were a must-feature for the Discovery Box! AK Interactive are a huge miniature painting brand from Spain that specialise in weathering your models. They have a great selection of weathering and diorama products, as well as an extensive line of acrylic paints. Featured in this box were a quad of paints that are part of their modulation technique - a series of graduated colours designed to be used together to create smooth transitions. We chose olive for the Discovery Box because it’s a highly applicable colour, working in both fantasy and modern war settings. Plus, the series of graduations from this set of Olives is beautiful and a pleasure to paint with! We choose to feature a Wilder pigment because they are incredibly high quality and brilliant to add to anyone's collection! Personally, I like the Track Dark Brown for its unique tone - a brown-y purple, which is a more interesting effect than just using pure black. This colour means the pigment still retains a little warmth for a more ‘natural’ appearance to weathering effects. Most dirt and dust isn’t pure black in real life, which is why the Track Dark Brown is ideal to use on buildings and scenery. A black pigment (like the Kromlech Soot Black from July’s box) is better for mimicking actual soot such as around gun barrels and for fire effects. However, you can also use the Track Dark Brown pigment to enhance the effect of a black pigment by using the two together to create a sort of shadow effect. INSTAR have only been around for a year or so, but since their inception they’ve expanded rapidly, offering painters a range of new choices. In August’s box we featured a preview of their new range of Heavy and Soft Body washes, and in November’s drop, we were lucky enough to feature a preview of their new line of one-coat paints, Alpha! These paints are highly pigmented so you only need to give your miniature one coat to get great coverage. They’re ideal to use for basing your model. For example, if most of the mini is metallic you can prime in black, but if you then want to paint fair skin, cover that area in the INSTAR Ice White beforehand. This white is also ideal for mixing with other paints for highlights as it’s very smooth and mixes well.